A savage journey to the heart of the American dream. You'll watch it more than once. Criterion's release is quite pricy. Original DVD version lacks substantial supplement. May cause you to form a drug habit. 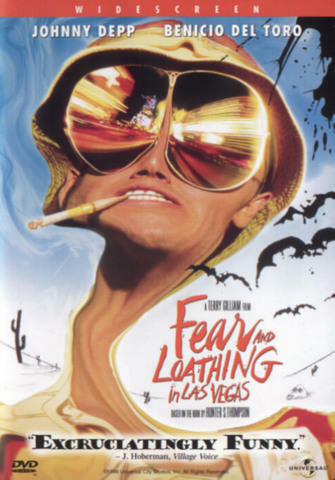 Fear And Loathing In Las Vegas (1994) is a hilarious and often unfairly criticized cult favorite that retells Hunter S. Thompson's book of the same name. The movie's main character, Raoul Duke, is played by Johnny Depp in a way that you'd need the box to give the man credit. He transforms himself into Hunter S. fantastically, and Benicio Del Toro is stellar as his "lawyer," Dr. Gonzo (Oscar Zeta Costa in real life). 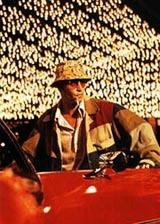 The pair travel to Las Vegas in a convertible known only as "The Red Shark. 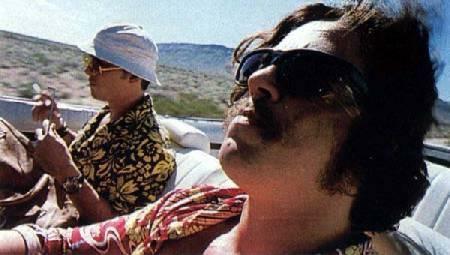 "; Raoul to cover a desert motorcycle race, and Dr. Gonzo to provide support and eat grapefruits. Packing lightly, they two only bring the essentials: clothes, some money, and a large briefcase of assorted drug-stuffs. Shortly after arriving in Las Vegas, Raoul experiences a paleozoic-themed acid trip, and this is really where the hilarity commences. The remaining fraction of the 104 minutes is a beautifully shot, color-filled ride of cinematic gold, directed by Terry Gilliam (Brazil). The movie will turn away some with it's overbearing acceptance of drugs and pandemonium, a very distincy image-based way of telling the story, and uses flashbacks and narrations frequently to discuss what you won't see in real time. 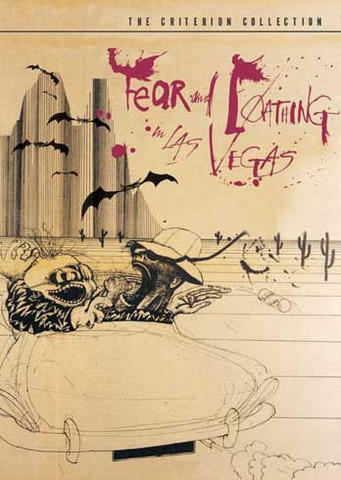 "Fear And Loathing" is available in a very nice 2 DVD set from the Criterion Collection ($40 retail), or a now out-of-print single DVD, which cuts a lot of bonus fat, but may be nicer on your wallet (around $20) if you can find it. Pick it up, and keep the weasels away.